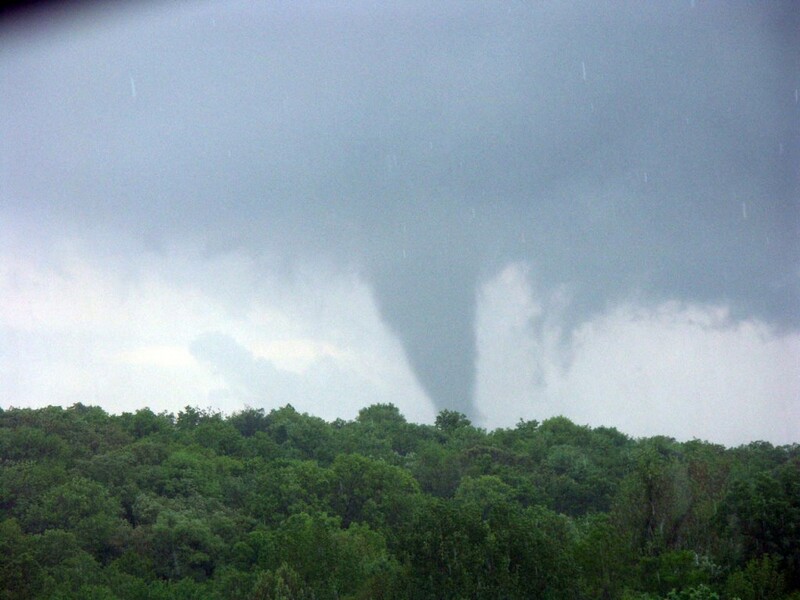 Many people, including residents of Tornado Alley have misguided perceptions about tornadoes. Most tornado myths are passed down over generations and started decades ago when tornado science was extremely limited. Learning what is and is not a tornado myth can possibly even save your life! 7. We’re protected by the hills from tornadoes. Tornadoes have been witnessed moving through the Rocky Mountains in Colorado and Wyoming. Chances are, those mountains are a lot bigger than the hills around your home! Hills do not disrupt tornadoes. In fact, they may possibly make the tornado even more dangerous, and not just because they could limit your visibility of an approaching storm, but because the tornado could actually increase it’s rotational wind speeds while traveling down a hillside. Imagine taking a rubber band with one end in each hand and spinning it. If you were to stretch the rubber band while doing this, the rotation would increase. The same is true when a figure skater pulls their arms in towards their body while spinning. This is a rule of physics called torque of angular momentum. The same rule of physics applies to tornadoes (because it is after all, a rule of physics). When a tornado’s base travels downwards it is stretching the rotating column of air, this is turn increases the rotational speed of the tornado. Tornadoes do not “jump” hills, if you live in an area surrounded by hills, take the same level of precaution that anyone else would.